← Bachelor Pad’s Ella Nolan Shows off her New Nose & Body by Dr. Franklin Rose to the World! 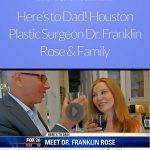 Houston’s plastic surgery patriarch Dr. Franklin Rose took his cosmetic surgery know how to the tube for ABC’s Primetime special with Lisa Ling titled Celebrity Plastic Surgery Gone Too Far? Dr. Rose was interviewed for the Primetime slot alongside two patients, the 17-year-old Tracy Karp, who received a rhinoplasty, and 19-year-old Caitlin Clemmins. The special explores the appropriateness of young people going under the knife, but Rose argues that he only selects patients who are emotionally stable, and stand to benefit from the self-esteem boost. Dr. Franklin Rose is no stranger to the camera — he’s appeared on Dr. Phil, Entertainment Tonight, and MTV’s I Want a Famous Face. 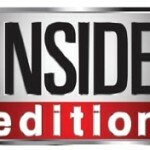 He’s also the father of reality TV star/law student Erica Rose (of The Bachelor and Bachelor Pad) and the husband of socialite silhouette artist Cindi Harwood Rose. “They’re hoping for a ratings smash,” Rose says.